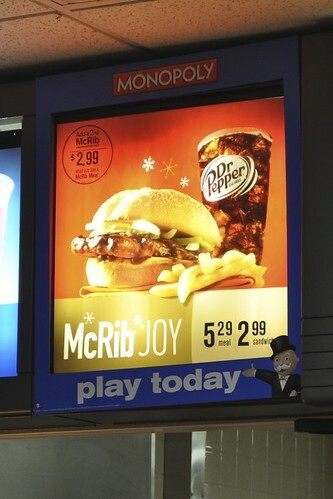 Yesterday was the last day the McDonald's McRib will be widely available in the United States, so I just wanted to wish it a proper goodbye (if you haven't already noticed, I'm an unfortunate sucker for both haute cuisine and fast food). The delicious goodness behind a ground pork patty covered in barbecue sauce and served with pickles and onions on a six-inch roll surprised me so much that I had two during the duration of McDonald's recent limited promotion. 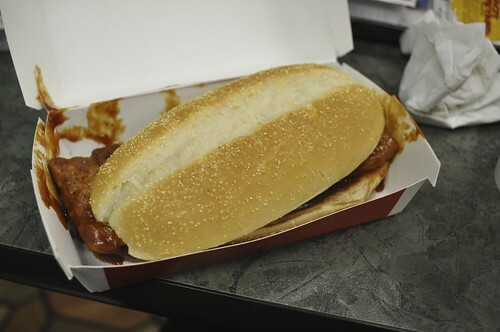 So I bid you adieu, Mr. McRib--I hardly knew thee. Hope you'll come to visit again soon.